New droplet Mongo DB one click app only errors in console. I v install MongoDB one click app. And try to install then NodeJs and other drivers. But i have only errors in my console. Why? What i am doing wrong? 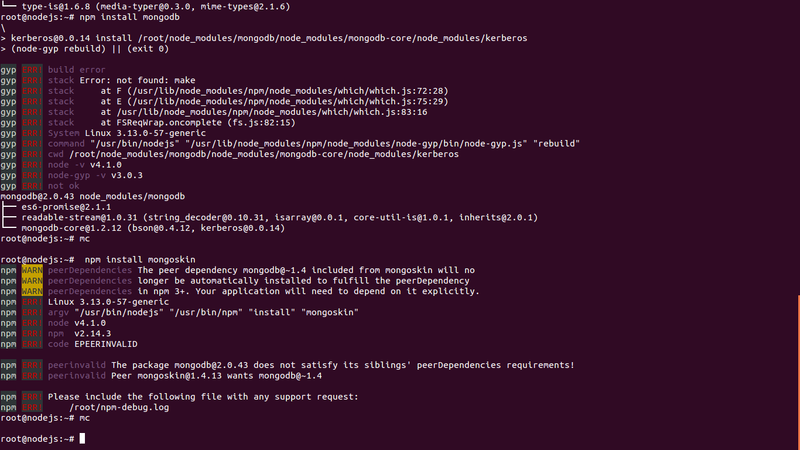 npm WARN EPEERINVALID mongoskin@1.4.13 requires a peer of mongodb@~1.4 but none was installed. npm WARN EPACKAGEJSON root@1.0.0 No repository field.